This story has been significantly modified since its original posting; an update can be found below. Well, it appears that the hits keep coming. David Cay Johnston is a columnist for Reuters who recently took a look at the corporate finances of Rupert Murdoch‘s News Corp., and what he has reported is certain to raise some eyebrows. His column published yesterday suggests that over the last four years, the media conglomerate earned $10 billion dollars and received $4.5 billion in federal refunds after paying zero taxes. UPDATE – Reuters has since withdrawn the original post, admitting that the writer had it wrong. Who is David Cay Johnston, the reporter of this provocative piece ? He is a Pulitzer Prize-winning journalist who has been focused on economic and tax policies for some time, and earlier this year he joined Reuters as a columnist. Over the past four years Murdoch’s U.S.-based News Corp. has made money on income taxes. Having earned $10.4 billion in profits, News Corp. would have been expected to pay $3.6 billion at the 35 percent corporate tax rate. Instead, it actually collected $4.8 billion in income tax refunds, all or nearly all from the U.S. government. The relevant figure is the cash paid tax rate. This is the net amount of corporate income taxes actually paid after refunds. For those four years, it was minus 46 percent, disclosure statements show. Even on an accounting basis, which measures taxes incurred but often not actually paid for years, News Corp. had a tax rate of under 20 percent, little more than half the 35 percent statutory rate, company disclosures examined by Reuters show. News Corp. had no comment. Please be advised that the David Cay Johnston column published on Tuesday stating that Rupert Murdoch’s U.S.-based News Corp made money on income taxes is wrong and has been withdrawn. 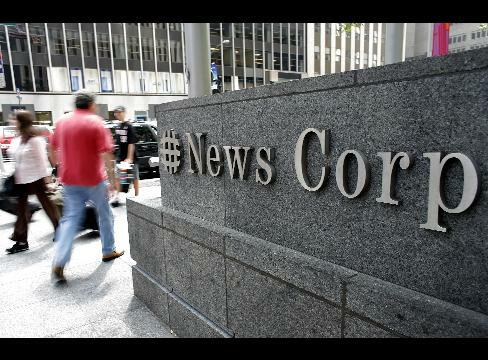 News Corp’s filings show the company changed reporting conventions in its 2007 annual report when it reversed the way it showed positive and negative numbers. A new column correcting and explaining the error in more detail will be issued shortly. The phone hacking scandal in the U.K. has focused on Murdoch’s currently embattled empire, which has just today led News Corp. to pull its takeover bid of BSkyB’s pay television operation. Additional attention brought to News Corp.’s tax payments in the U.S. could likely be damaging to its reputation, particularly in this hyper-partisan political landscape in which News Corp. cable property Fox News has often criticized other corporations for its tax payments.